Know someone who should learn to row? 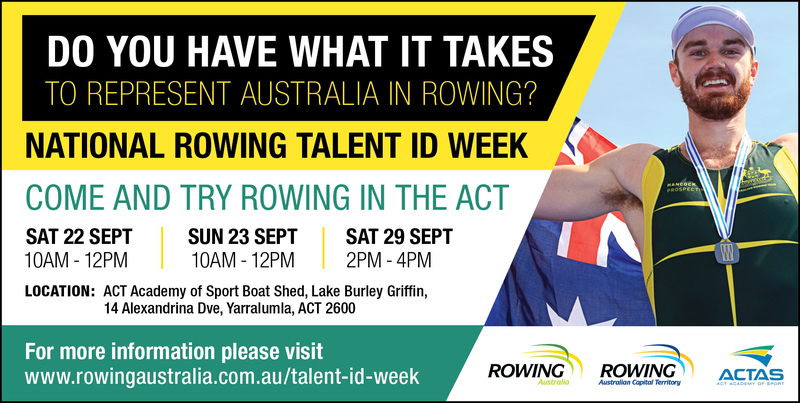 Registrations are now open for Talent Identification Testing, as part of a National Rowing Talent ID Week. This is aimed at non-rowers, aged approximately 13-16 years who show an interest in learning to row and reaching a competitive level. Those selected for the TID program will be coached by Olympic and National Level coaches. « Australia wins Trans Tasman Series!